Comment on “Storm surge frequency reduction in Venice under climate change” by Troccoli et al. Troccoli et al. 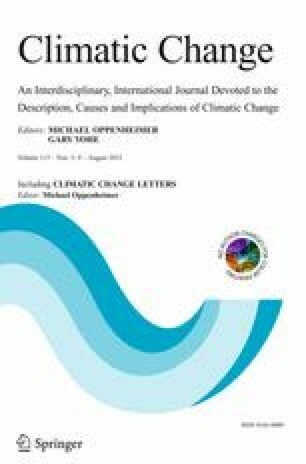 (Climatic Change, published online 14th May, DOI: 10.1007/s10584-011-0093-x), analysed different projections from global climate models in order to assess the frequency of storm surges in Venice during the 21st century under a climate change context. They concluded that the frequency of storm surges would decrease by about 30%, and that this reduction would compensate the expected mean sea level rise. Their final statement was that “the frequency of extreme tides in Venice might largely remain unaltered”. Although we agree in the expected reduction of storm surges, we strongly disagree in their final conclusion. First, because the impact of storm surges not only depends on the number of extreme surge events, but also on their intensity, that was not explicitely addressed. Second, because their estimates of mean sea level change for the 21st century are largely underestimated, as they miss some of the components driving sea level variability. Using state-of-the-art estimates for the thermosteric, mass and tidal contributions we show that the flooding events in Venice are expected to dramatically increase in a climate change scenario. This work has been carried out in the framework of the projects VANIMEDAT-2 (CTM2009-10163-C02-01, funded by the Spanish Marine Science and Technology Program and the E-Plan of the Spanish Government) and ESCENARIOS (funded by the Agencia Estatal de METeorología). Funding from the Platja de Palma Consortium is also acknowledged. M. Marcos acknowledges a “Ramon y Cajal” contract funded by the Spanish Ministry of Education and G. Jordà acknowledges a “JAE-DOC” contract funded by the Spanish Research Council (CSIC).